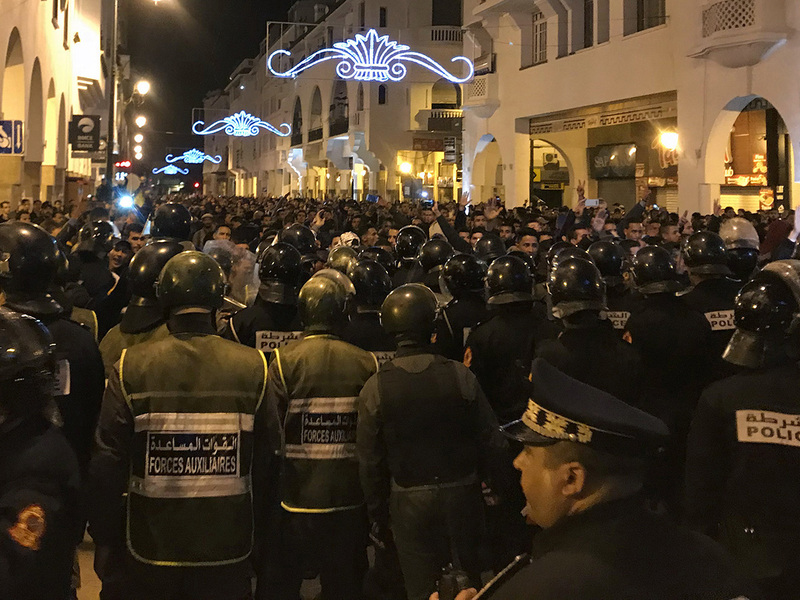 Rabat – Moroccan police used water cannons early on Sunday to disperse thousands of protesting teachers in the capital Rabat, a Reuters reporter at the scene said. Baton-wielding riot police used water cannons to disperse teachers protesting on Sunday morning, as several thousand young teachers spent the night in front of to parliament to demand better conditions. At least 15,000 teachers took part in the protests to demand better working condition, which was called by leftist opposition parties, unions and civil society organisations. Young teachers were calling for permanent work contracts chanting slogans such as "freedom, dignity, social justice". The teachers on temporary contracts, who have been on strike since March 3, enjoy the same salaries as their permanent colleagues - 5,000 Moroccan dirhams (Dh1908.7) a month. Police arrived with water cannon trucks but did not interfere immediately, negotiating with protesters to go home. Authorities offered to send busses to drive them home, some teachers said.